There were a couple of games that I went into without knowing anything about them. Not a thing. 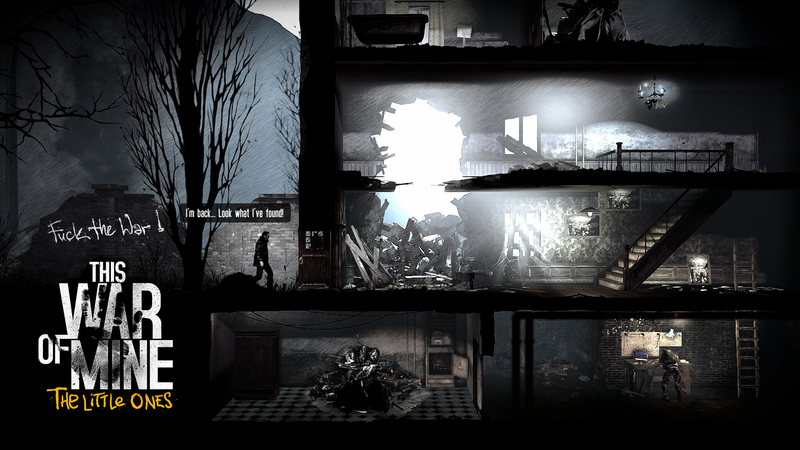 One of these mystery games was called This War of Mine: The Little Ones, by Deep Silver and 11 Bit Studios. Not knowing what to expect, I was pleasantly surprised to find, instead of being a FPS action heavy title, it instead was a survival strategy game. It focused on resource management and hard decisions, as well as keeping the mental and physical health of your characters in check. 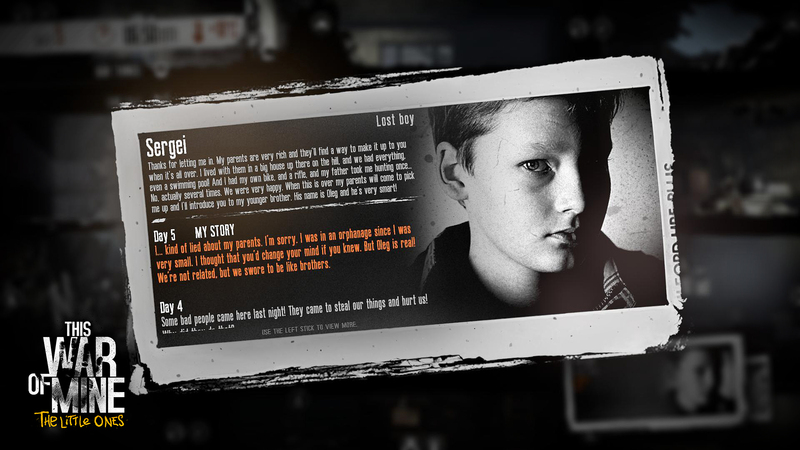 Though I did not experience it in my playthrough, the true hook of the This War of Mine: TLO was that you eventually have to care for young children, with all the accompanying hardships. On top of the wartime setting, and fighting threats like scavengers, snipers and constant military attacks, this becomes an impossible task, and ultimately will always result in hard decisions. Think of it as Oregon Trail with wartime and kids, and you’re on the right track. Presented in a stark black and white graphical style, the game was both dreary and yet hopeful. You keep pushing forward, rummaging through garbage, exploring and building with the thought of a new day in mind. The controls worked pretty well, and mostly involved using the joystick and shoulder buttons to do many tasks. You can even creep forward through derelict buildings with the right pressure, thus avoiding the ear and eyes of potential threats. 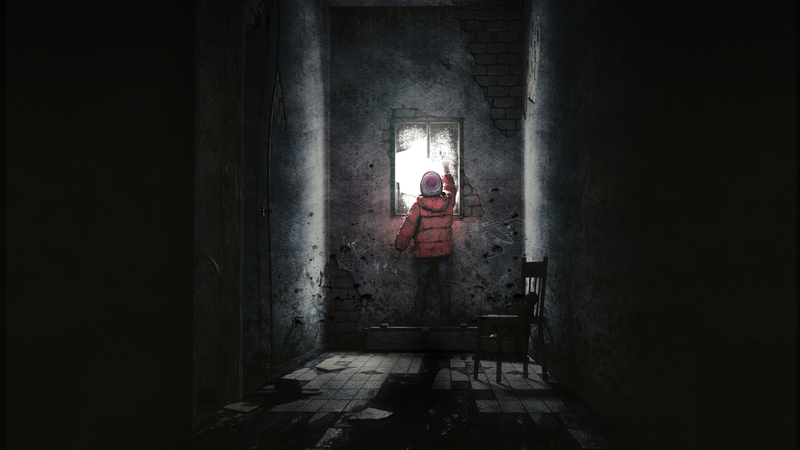 Overall, I was happy with my time with This War of Mine: TLO. Though it’s far from the type of game we generally cater to here at oprainfall, I am always glad for the opportunity to expand my horizons. For those who are interested, it will be releasing first for XBox One and PS4. Take a gander at the official reveal for a better idea of how the game comes together.